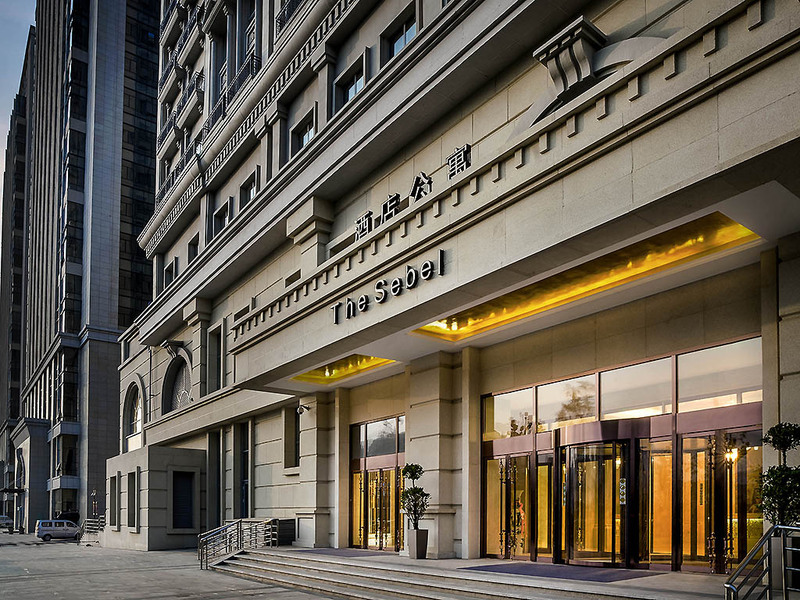 The Sebel Xi Ning is the first international apartment brand in China. Situated in Northwest China on the Tibetan Plateau and centrally located in Haihu district, the service apartment provides a memorable experience for both business and leisure travellers. Each apartment ranges from 40sqm to 120sqm and comes equipped with kitchen amenities. Le Chinois is our Chinese restaurant specialising in Cantonese, Sichuan, Shaanxi and Qinghai cuisine. The exquisite touches are evident with the restaurant's elegant old world architecture. Our all-day dining restaurant serves a wide variety of international cuisine via a la carte and buffet formats. Located in the lobby, the bar serves cocktails and light snacks. Economical price for high-quality service. Lucas delivered great hospitality during my stay, which made my business trip running smoothly! Thank you Lucas. Very comfy, amazing assistance by the Hotel staff . Nice bathtub, except that the kitchen stove utensils were quite inadequate for any cooking, which led to our breakfast being burnt. Other than that, everything was excellent. The English speaking staff are lovely- I don’t speak chinese so I don’t know about the rest! There was a Mexican manager who was very welcoming and helpful. I suffered a leg injury which was complicated by diabetes when I arrived in China. The pain was so bad that I had to be hospitalised. The General Manager Christoph and the Manager Jeffer from beginning gave me good support and guided me in my stay. I cannot imagine if I didn't stay in Sebel. In fact the year before I stayed at the adjoining Sofitel and was impressed by Laura's helpfulness and arranging for me to tour the outskirts of Xining and remembering that I decided to once again stay at Sebel. During my hospital stay in Xining, I had difficulty communicating in English with the Doctors. Jeffer visited me and helped crucially in that. He also assisted by getting me the needed medications. I felt that the care and concern showed by him was like that of a family member. I am back in Malaysia now and slowly recovering. It was very difficult to be injured in a foreign country and at the height of winter. Christoph, Jeffer made my experience and stay bearable. I cannot express my gratitude enough, and cannot imagine getting this level of care any where else in China or elsewhere. Thought the room was very spacious and well equipped. Huge thank you to the staff, they were beyond helpful. We fell sick on the day of check out and our train was to depart late at night. We requested for late checkout and the GM called back to say we are welcome to stay until we are ready to leave and asked whether we needed any medicine or doctor. I also left my iPad mini at checkout and received an email from Lynn the guest relations manager. She quickly arranged for the iPad to be sent and was extremely diligent about it. Can’t thank her enough and the entire team for helping us out on both ocassions. They really went beyond their expectation to make sure we were ok. Wonderful stay. Staff were friendly. Good Service. Breakfast was not so good. My family and I enjoyed the big space in the room of the Service apartment. Enjoyed the swimming pool and the gym. But the breakfast was not so good, the food were cold especially the western food. Each food should have a steamer to make sure the food kept warm at all times. Holiday Inn has a very good breakfast. The check-in experience was very good and the room was upgraded for free. The room facilities were complete and room service was in place. The service was very fast and professional. It was a pleseant stay. Cystal treat us very well with the detail guide and services. The room is very spacious and confortable. We had a warm welcome by Crystal upon arrival and bid farewell by her as well on the next day. As we had late train on the next day evening, Crystal helped us to store the luggage after checked out and offer us to have at rest and drink at Executive Club lounge. Breakfast is awesome. There is variety of choices and it is very delicious. There are a few shopping mall or shops around the hotel (within walking distance) which is very convenience. We had a busy schedule for our trip. I only slept for 3-4 hours the day after long flight before checked in to your hotel. The Sebel provided a comfortable environment for us to have a good rest and familiar with high altitude. Besides, we can get all we want around The Sebel. It really located at a very convenient location. The staffs are very friendly too. I have booked 4 rooms at The Sebel for my group's transit to Tibet. Personally I had stayed a lot at Ritz Carlton, Hyatt as well as Hilton for business trip globally. Since The Sebel in the more remote part of China, I merely hoped for it to perform decently. However, my overall experience at Sebel Xining totally exceed my expectation! Most important, my guests were very happy and satisfied. The manager Crystal definitely put a personal touch and made our stay more memorable. From the exchange of emails to the last day of our stay, she works to ensure everything is in good order. Of course being selected as the guest of the day and hence a upgrade to a luxury suite was a pleasant surprise that we appreciate as well. To give a perspective of how satisfied I am, my stay at Sebel reminds me a lot of my many visits to the resorts in Maldives. If I must be critical, then I would recommend for the following to be improved: 1. provision of items in the guestrooms to be more consistent - as we rented serviced apartments with washing machine, we note that some rooms have washing powder and some do not have any washing agents. 2. Provision of oxygen bottle at all rooms. During my stay only the upgraded suites were given portable oxygen bottles. However AMS does not discriminate and hence it would be nice if the oxygen bottles were to be provided in all room. It probably cost only a little bit more than the toilettries set, but it would definitely give the guests a peace of mind and feel that they are being cared for. 3. Some staff at the breakfast buffet need to be properly trained - the Buffet is at the actual hotel. The spread is delicious and he layout is beautiful. The guests are definitely spoilt for choice. Personally I judge a buffet from its egg station, as the simplest ingredient is usually the one being overlooked and messed up. True enough, the omelet on that particular morning was dissappointing. Even if i were to persuade myself that a Chinese omelet was served, the taste and look were just barely passable. It was a very confused omelet. As mentioned, the layout of the Buffet is so beautiful and like most guests i can't help but spent too much time admiring at the decoration. Kudos to the designers. I would appreciate if the staff at the honey/toast station would just leave me alone when I was being amused by the real hive/honey for too long. The above comments are not impactful but may be nice to be informed. Thank you The Sebel Xining for selected us as guest of the day. We have stayed one night and the accompany from hotel were professional. The buffet breakfast was great and we were enjoyed stay in The Sebel Xining. the hotel provide free oxygen can and fresh food. which confused me is that after daily clean the tissue holder will be moved back to living room from sleeping room. since i have stayed for a week, i have to take the tissue holder to sleeping room everyday. this is a little bit silly. after all, staying in Sebel is peefect choice. Our family was warmly welcomed back to Sebel for our second visit (our first was a year ago). For both of our stays, we were cared for kindly and generously. I told our contact in advance that we were celebrating a family member’s birthday (and his first time to visit China) and they surprised us with a cake, notes and flower decorations on the bed, and even balloons for the kids. Thank you again for going above and beyond to make this such a memorable holiday. Other details: Even in our taxi to leave, the staff member was so thoughtful to make sure we were comfortable and gave us his phone number if there was a problem or concern with the driver not understanding us as foreigners. We also love the swimming pool with the safe wading pool as well as the kid corner at breakfast for our little ones to be able to play while we enjoy the delicious breakfast buffet. Great location, decent breakfast, perfectly good hotel for your break. The lady in reception who checked in for me is very efficiency and professional. Also the short hair good looking guy from concierge who showed me a warm welcom. He guided me to the room with my heavy luggage and introduced the hotel facilities for me at the same time. We enjoyed the amenities in the room. The staff spoke rather poor English and we're rather unhelpful. When we checked in, they tried to charge us a deposit sum that was three times higher than what it is supposed to be. When asked about the high sum, they kept changing the amount we have to pay untill we were told the right amount. When asked about buses to Kumbum Monastery, the reception gave us bus numbers that don't go there and some that don't even reach the hotel or the Monastery. The room service was overpriced and came out cold. Any service we needed we had to go to the next door Sofitel. The room was very nice, but we were dissapointed by the bad service and bad organization, which we didn't expect from such an expensive hotel.